With filing for the 2016 elections opening on Tuesday, the race for NC House 95 is shaping up to be ground zero for the next round of anti-toll activist fury. The current issue of Cornelius Today alludes to such, referring to an email from Greg Wallace of the I77 Business Plan with the subject "Target Acquired". The "target" is apparenly NC-95 Rep John Fraley. At the end of October former long-time State Rep Robert Brawley of Mooresville announced his intent to setup a rematch from the last round of legislative elections. Fraley edged out Brawley in the primary last cycle by just a little more than 100 votes. Both Brawley and Fraley are Republicans, and this is a heavily Republican district, so the real election will occur in the March primary. With that in mind, we took a look at the campaign filings for the 2013 primary to see if there was any indication of what we could expect. What we saw in Fraley's filings was not pretty!!! When Fraley filed in late 2013 to challenge Brawley, there was widespread speculation among anti-toll activists that he was put up to it by pro-toll forces in the Raleigh establishment. Fraley recently came fully out of the pro-toll closet with his comments in this article from the Mooresville Tribune. However, a close look at Fraley's finance reports provides validation of those concerns from back in 2013. Fraley kicked off his 2014 campaign fundraising by "loaning" his campaign a whopping $75,000. The mega-loan to a campaign by well heeled candidates has become all too common in local elections. As we've written before, it is intended to shock and awe potential opponents (and those who might donate to them) into dropping out or not running at all. The massive "loan" also begs the question "what will Fraley do to pay himself back?" During the 2014 primary, Fraley spent over $11,000 on "polling". In fact, his first campaign expense was a $6,000 expense for polling work prior to his actually filing for office. For a legislative race in a district that a covers only one county, that kind of spending sure seems indicative of someone who doesn't know what his neighbors want and is just holding his finger in the air to see which way the wind is blowing. Fraley also had other eyebrow raising expenditures. There are numerous expenses to several different individuals listed under the category of "Field Representative". Another way to read that would be "Paid Campaign Worker". Notably, few to none of these people appear to be from the district. Again, when you have to pay people to work for you rather than having enough volunteers to get the job done, what does that say about a candidate's connection to the local area? Any candidate who hires these guys to work for them should be highly suspect. Having them on a campaign's payroll should induce any voter to run the other way, and run fast. All of that is just some of the ways Fraley chose to spend his campaign cash. Where Fraley got his campaign cash beyond that mega loan from himself is also interesting. The first thing that jumps off the page from his campaign's original filing covering the period until the end of 2013 is the large amount of out of state cash Fraley raked in. Numerous donations rolled in from New York to Florida, from Massachusetts to Tennessee - as well as several other states. The largest individual contribution was a $4,000 check from someone in Florida. It is one thing for residents in Cornelius, Davidson, and Mooresville to take an interest in elections in a fellow Lake Norman town like, oh let's say Huntersville. One has to wonder though why so many people from across the country would spend money to get a state legislator elected in another state. But maybe the most interesting contribution of all was a $2,000 donation that came with an address in Cornelius. It was the largest local campaign contribution in the 2013 year-end filing. The address listed also happens to be the same address listed on Cornelius Mayor Chuck Travis's 2009 campaign organization form. That would be the same Mayor Travis named last year to the state Turnpike Authority by Thom Tillis. That's the body in charge of the state's toll roads. It would also be the same Mayor Travis who recently returned from Texas to tell us how great Cintra's toll roads are working in the Lone Star State. However, the name on this donation is not that of the Cornelius Mayor, but it does match that of his wife. One can learn a lot about a candidate by looking at where they get their money and how they spend it. Rep John Fraley's campaign reports should tell anti-toll voters all they need to know. Feds taking comments on CRTPO...give 'em an ear full. In the aftermath last week's "I77 Summit", the region's primary transportation planning body, the CRTPO, has become the center of attention when it comes to the I77 HOT lanes project. The Governor is hiding behind the group, saying the only way he'll consider stopping the project is if the CRTPO tells him to do it. The NCDOT is saying any newly constituted CRTPO body would not be able to reasonably decide the issue quickly because the body could have several new faces after this month's elections. If any actionable item did come out of the "Summit", it was Rep Charles Jeter's stated intention to file a bill to reduce Charlotte's influence in the CRTPO when the Legislature reconvenes for its short session next year. The Charlotte Observer has even recognized that the City's decision to skip the summit looks bad and jeopardizes the legitimacy its current setup as a decision making body. Charlotte has long used its weighted voting power to effectively make decisions in all but unilateral fashion for the entire region. As we said in this story here back in 2013, Charlotte often acts like the playground bully effectively saying "we'll take our ball and go home if we don't get our way". Frankly, there has been little that individuals can do about that setup. That is, up until now. WidenI77.org is encouraging the public to send the below email (or any respectful email of your choosing) to the Federal Department of Transportation before December 15. The quadrennial review period for the CRTPO is currently underway at the Federal level and the DOT is taking comments. Send your email to Loretta.Barren@dot.gov and let the Feds know how the current setup is effectively allowing Charlotte to milk the surrounding region while not allowing the surrounding region an effective mechanism to stop it - or at least to be treated fairly. The CRTPO is in need of reform. During the past several years they have minimized or ignored public input. With a very lop-sided voting structure, one city benefits greatly while the needs of the other towns and the region are ignored. During the July 2015 public comment period, CRTPO received over 700 individual comments opposing the P3.0 TIP. CRTPO approved the TIP citing, among other reasons, the fact that the TIP had to be approved quickly or they risked losing federal allocation in October. Therefore, the public comment period was moot. While developing the P4.0 project list, CRTPO received over 250 public comments urging adoption. At their September 16, 2015 meeting, CRTPO took the extremely unusual step of postponing approval. In direct opposition to public comments, CRTPO subsequently removed a project from the list and approved the list at their next meeting. On May 23, 2013 CRTPO (then MUMPO) Chairwoman Sarah MacAulay unilaterallydenied all citizens the opportunity to comment during the public comment period. Eighteen had signed up to speak on the controversial I-77 private toll project. At their December 12, 2013 CRTPO meeting, TCC staff recommended against including a public comment period for TCC meetings. CRTPO accepted this recommendation. A public comment period for TCC meetings does not exist. The public comment period policy for MUMPO meetings used to be three minutes per person and ten minutes per group. CRTPO revised this to limit the public comment period to twenty minutes total, regardless of the number of speakers or groups. Groups wishing to make a formal presentation must notify CRTPO ten days in advance. Mr. Ned Curran serves as an alternate delegate for NCDOT Divisions 10 & 12. Curran is also Chairman of the NCDOT Board and CEO of Bissel, a major land developer and property manager in South Charlotte. On August 19, 2015, Curran voted for the P3.0 TIP as the Division 12 delegate. I believe it is a conflict of interest for a major land developer to decide road and transportation improvement projects. Ms. Sarah McAulay serves as Chair of CRTPO. 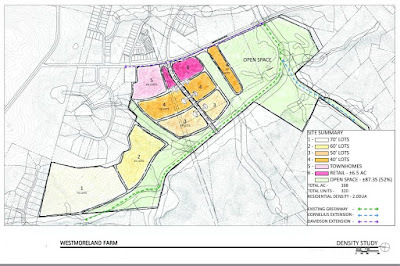 On August 19, 2015, McAulay introduced a motion to approve the P3.0 TIP which includes seven Huntersville projects. McAulay owns or co-owns three properties with direct frontage to at least one or more of the projects and six properties in close proximity to one or more projects. I believe it is aconflict of interest for a CRTPO member to decide road improvement projects from which they may directly benefit. These comprise serious flaws in the CRTPO’s planning process, have seriously eroded public trust and fail to serve the public interest. Per 23 U.S.C. (i)(5) and 49 U.S.C. 1607 I am therefore requesting you reject CRTPO’s certification until substantial reforms are completed. Davidson growth set to explode...no catalyst needed. As staff and elected officials in the Town of Davidson continue to ponder the proposed Downtown Catalyst Project, there is a looming wave of explosive growth just on the horizon. This is growth that will happen whether or not the town's own project "catalyzes" anything. Frankly, knowing this is going to happen it is hard to believe the Town itself is looking to promote even more growth through its own efforts. Maybe the town should change the Catalyst's name to something like Accelerant. The first project if it materializes could have the most direct impact on the supposed need for something like the Catalyst project in the town center. In the past we've told you about potential development at the old Davidson Clinic site on South Main. 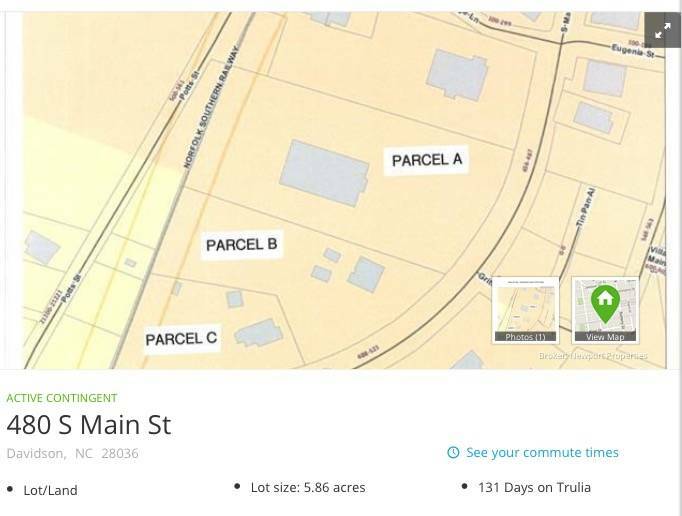 That previous development plan fell through this past summer, but that property - as well as the adjacent two parcels - are now showing as "active contingent" on real-estate sites - meaning a sale and new development could be imminent. At almost six acres this site is nearly double the size of the Town-owned land proposed for the Catalyst Project. Whatever this site on South Main eventually becomes, it will certainly be big (and controversial), but it will also achieve the town's goals of 'connecting' South Main in ways the Catalyst never would by creating a center of gravity at that end of Main Street. Also, there will almost certainly be a significant retail/commercial component of any development that size which meets another stated town goal for the Catalyst. 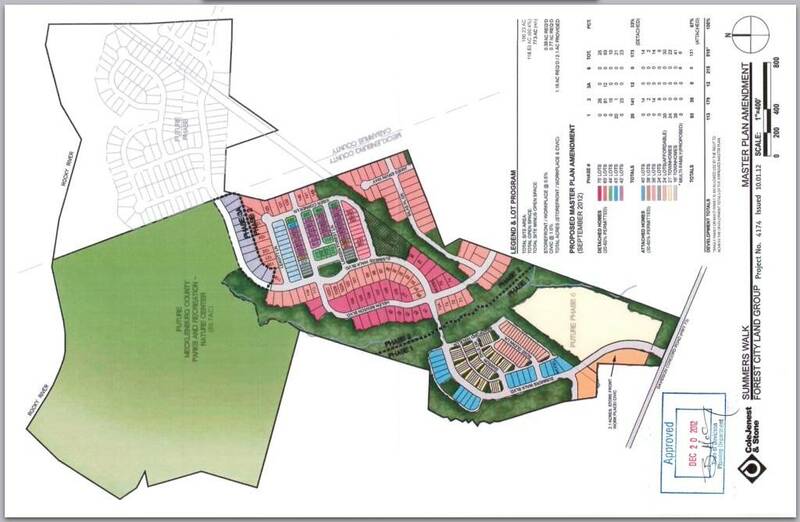 As of last week, a proposed development plan had not been submitted according to Planning Director, Jason Burdett. There is also nothing on the town website as of this writing. However, this is definitely something to keep a close eye on. Things appear to be in the works and could move fast. The second major development is closer to coming to fruition. That regards what is going on out at Westmoreland Farm. We originally told you about surveying activity at the site almost three months ago. A records request to the town turned up some additional information. The below picture called a "bubble diagram" was put together by staff at Commissioner Brian Jenest's firm during the discussions leading up to passage of the planning ordinance rewrite earlier this year. The purpose of the diagram was to provide a conceptual picture of what could be built under the new ordinance. To be very clear it is not a proposal. However, it does give a sense of the scale of any development that could be on the way. A week after the Town Board passed the planning ordinance rewrite back in April, a planner from ColeJenest & Stone contacted Town staff saying "we are working towards a schematic site plan for the Westmoreland property along Davidson-Concord Road and have a few questions/requests". That combined with the work seen recently and the counts on that bubble diagram would indicate another development with potentially hundreds of units is on the way. While again, like the South Main project no site plan has been submitted, it is clear something is in the works. Finally, this coming Monday, November 30th, the Davidson Planning Board will hear a request from the developers of Summerswalk regarding removal of the planned neighborhood retail at the front of the neighborhood along 73 to be replaced with more townhomes. 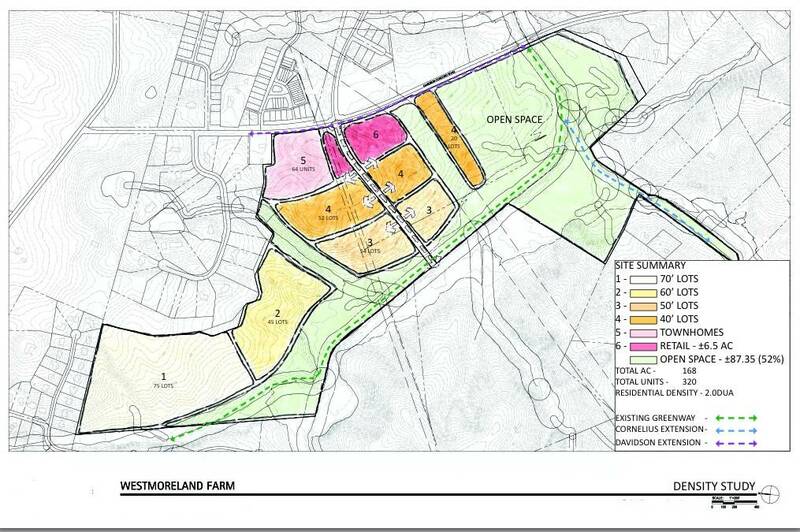 The proposal, also submitted by ColeJenest & Stone, appears to have the approval of the Town Planning Department. The staff recommendation says "this master plan amendment is appropriate and in line with the town’s current development policies". One of the stated reasons for the Catalyst Project is to increase the commercial tax base for the town. Removing a planned commercial area - even if it may not be built out for some time would seem to run counter to that goal. If the recent pushback from town residents was not enough to convince Town Hall that the Catalyst Project is not needed or should be drastically scaled down, maybe this looming wave of growth will do it. Thanks for a great 6-months! With this being Thanksgiving week, I wanted to take a moment to thank the readers of aShortChronicle for a great last six month's. In the nearly 4-year run for this blog, the last six months have been special. To the site's long-time regular readers, thanks for your support over the years, and to the newer readers thanks for making the site's growth happen. A special thanks goes to the members of the E28R Facebook page. The large number of shares, likes, and comments has added significantly to the overall reader base. the average monthly page views is up more than 500% over the previous six month period. 9 of the all time top 10 posts for the site have occurred since June 1st. 1000 page views - something that had never happened even a single time before. For a site that started out with a target audience of local elected officials, town staffers, and a relatively small number of local politics news junkies, this kind of growth is validation the stories covered here interest a wider audience. Certainly, there has been no shortage of stories to cover this past half year. That can be seen as a good thing or a bad thing, I suppose. Regardless, our local political scene has provided lots and lots of material. I am thankful to be able to cover it, and thankful readers seem to think it is worthwhile. Monday's Politico had a blurb about the Charlotte Strretcar that reiterated the old canard that it was actually a good idea. Charlotte already had a mass transit option which arguably was providing the bulk of this service before the streetcar was built. It is called the Gold Rush Red Line. Prior to the streetcar opening, the Gold Rush Red Line ran the full distance from Presbyterian Hospital to Johnson C Smith university. According to this late 2012 document from Charlotte Center City Partners, it carried 65,000 riders per month. When the streetcar opened in 2015, the Gold Rush cut its route roughly in half because the east end of the route was now serviced by the streetcar. A few months later, the streetcar was trumpeted as a huge success carrying 47,000 passengers per month. The problem is that since the new streetcar covered roughly 1/2 the same territory as the old full Gold Rush line, it stands to reason that a big chunk of the streetcar riders were actually former Gold Rush riders. Using that same ratio of 1/2 and accounting for some growth since 2012, roughly 32k-35k of the streetcar's ridership was likely just canibalized from the old Gold Rush line. That means the streetcar is really just prividing just 12k - 15k "new" rides per month. The cost of the current streetcar was $37m. That translates into $123k - $154k per new person using the streetcar who was not already using the Gold Rush. The real kick in the teeth to all this is that the folks in the Charlotte government center think this is great, and they want to spend $150m more to extend the streetcar - all while forcing LKN residents to pay for a toll road and massive infrastructure improvements that benefit the city as much or more than anyone else. Charlotte is willing to fight for money to benefit just a few hundred while being willing to condemn 10s of thousands to the misery of tolls for 50 years on I77 through its control of the CRTPO. That is not right and it needs to change. In the ongoing fallout of this month's election, Local politicos have continued to spin, react, position, and use the I77 HOT lanes issue to varying degrees of effectiveness. "First and foremost, I want to thank the residents of Cornelius for the vote of confidence to serve as the Mayor of our wonderful Town. On election day, even though I was unopposed, I received the highest number of votes of any candidate running for office in our Town. I appreciate the trust that you have placed in me to lead our Town for the next two years. I take the role of Mayor seriously and respect the responsibility to hold this office." While the bubble was burst regarding the vote totals in the unopposed Davidson and Cornelius Mayoral races in this piece last week. Cornelius Commissioner Dave Gilroy's said it more directly in his most recent newsletter in Sunday. 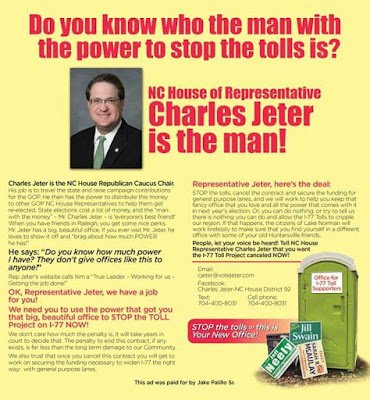 "Note to Davidson’s Mayor John Woods and Cornelius’s Mayor Chuck Travis who are both lovely gentlemen, but have been hand-in-hand for years with Swaine in supporting I-77 Tolls (which the Lake Norman Chamber of Commerce recently stated would cause “irreparable damage to our region”). With no doubt whatsoever, both Woods and Travis would have similarly gone down in flames had they faced any viable opposition." Then there is State Rep Charles Jeter. Though, in Jeter's case, rather than his own statements, he was on the receiving end of multiple ads on the subject of the HOT lanes - ads that came from two completely different directions. In the aftermath of Monday's "summit" where the State once again kicked the can back to CRTPO and with candidate filing for the NCGA set to open December-1, we can likely expect the hard hitting comments on tolls to keep coming. The topic was an effective one in our recent municipal elections and will likely be in the forefront for many elections to come. Cornelius and Davidson had elections, too! With all of the attention given to the election results in Huntersville, it might be tempting to forget that all of the local municipalities had elections two weeks ago. Not much has been said about the elections in Cornelius and Davidson, but voters there also trekked to the polls earlier this month. Last week, some more detailed numbers were available from the Mecklenburg Board of Elections that are worth a look. 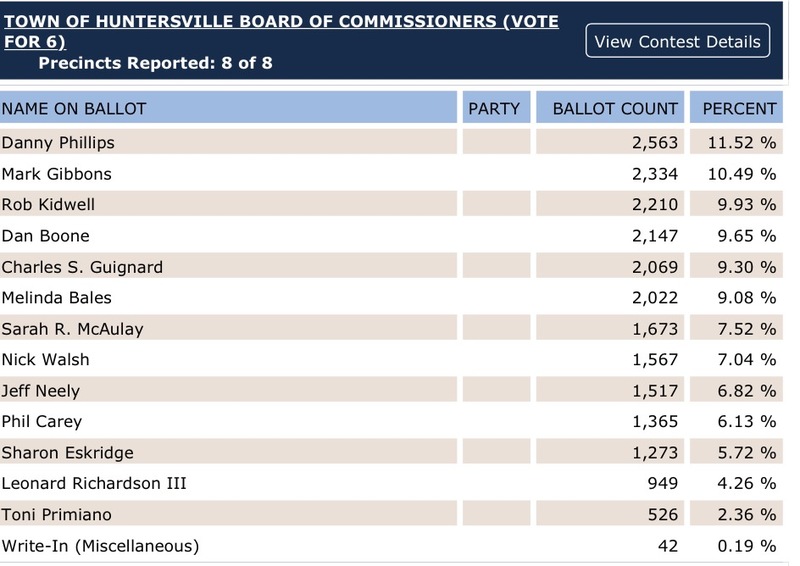 As one might expect Huntersville had the largest number of voters heading to the polls. With competitive races and by far the largest population, that is not surprising. However, when it comes to turnout rate, that top “honor” goes to Davidson. 14.61% of Davidsonians headed to the polls, followed by 13.93% of Huntersville’s registered voters, with only 13.25% of Cornelius’s voters making it out. While saying the “honor” goes to Davidson for the highest turnout is true, that needs to be said with some serious air quotes around it. It is a pretty sad state of affairs when all three towns had less than 15% turnout. A closer looks at the numbers in the Mayoral races also revealed some interesting tidbits. 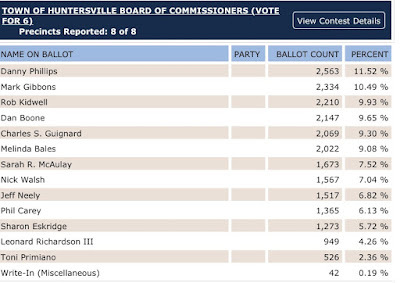 By now most people are aware if how lopsided the contested race in Huntersville turned out to be. But what may surprise people are a couple of things that occurred in the uncontested races in Cornelius and Davidson. At first glance both contests had margins of victory for the incumbents reminiscent of what you might see in Castro’s Cuba or the Kim Dynasty in North Korea. Chuck Travis won in Cornelius with 93.9% and John Woods won in Davidson with 87.9%. 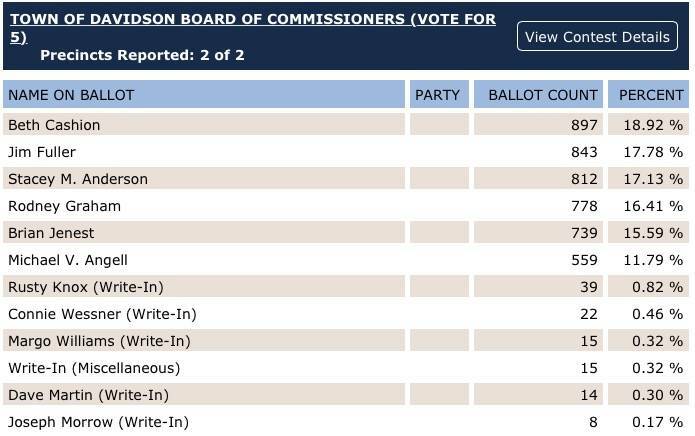 Write in candidates got a cumulative 6.1% and 12.1% respectively in the two towns which actually seems a bit high – particularly for Davidson. However, after looking at the turnout data provided by the Board of Elections, it is clear there was a significant protest vote beyond even just the write-ins. in North Carolina only votes where a candidate is actually selected actually end up being counted – meaning if a ballot is left blank for a given race, that ballot is not counted in the total winning percentage. These ballots are considered “spoiled” for this given race where they are left blank. Not counting these ballots, makes the actual winning percentage look artificially high versus the overall total of voters who went to the polls. So, what were the actual winning percentages when these “spoiled” ballots are included? In Cornelius, Mayor Travis got 74.20% of actual ballots cast. In Davidson, Mayor Woods got a little less, coming in at 72.66%. 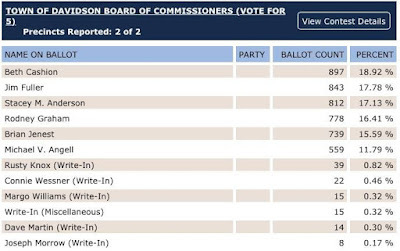 In fact in PCT 127 on Davidson’s east side, Woods actually slipped below 70% with only 69.6% pulling the lever for him. So, what does it mean when more that 25% of voters won’t cast a vote for the only name available on the ballot? An inquiry with the UNC School of Government did not turn up any academic research on the subject of “protest votes”, but a quick comparison to Huntersville sheds some light on it. In Huntersville where people had two choices and both candidates were reasonable options, the overall protest vote was just 0.4%. It would seem that Davidson and Cornelius just need more candidates and more options. If they had them, those candidates would likely be starting from a pretty solid base to make a run at the top spots in these two towns. In fact, if those options had existed, we very well may be taking about replacing all three Mayors in North Mecklenburg rather than just one. Clearly, the main issue driving the electoral shellacking in Huntersville was the I77 HOT lanes. It stands to reason, that same issue was at work creating the high level of “protest” voting in Davidson and Cornelius where both mayors had similar stances as Huntersville Mayor Jill Swain. This post originally appeared in this week's Herald Weekly at huntersvilleherald.com. Has anyone else been wondering why Gov Pat McCrory has been so staunch in his rock solid support of the I77 HOT lanes project? In the face of rising public opposition and mounting evidence more than a little something is rotten in Denmark with this deal, the Governor decides he is going to stand with his boys from Cintra rather than with the people he represents. Who does that? Back during the summer we told you the sordid tale of two recent NCGOP Executive Directors and their close ties to the Governor as well as Cintra. See here and here for those details. Then just a couple of weeks ago we told you about the obscene (and anonymous) $4.7m donation given to the Carolina Rising PAC which benefited Thom Tillis in his campaign for US Senate. Carolina Rising was formerly operated by current and recently appointed NCGOP Executive Director, Dallas Woodhouse. In that piece we wondered if Dallas Woodhouse could make it a "trifecta" of shady connections between the top spot at NCGOP HQ, the I77 HOT lanes project, and Cintra. Well, the other shoe has now dropped on that one. On Tuesday, the Raleigh News & Observer reported on tax documents put out by the people behind OpenSecrets.org showing that one of the largest Super PACs in the country, Crossroads GPS, was behind the huge check to Carolina Rising. Crossroads GPS is a PAC founded by none other than Karl Rove, advisor to former President George W Bush. For more analysis on the Woodhouse connections in this plus other shenanigans, check out the DailyHaymaker.com stories here and here. So where is the connection to Cintra? When researching the pieces covering two of Woodhouse's predecessors as NCGOP Executive Director, Chris McClure and Russell Peck, one other politically connected name also popped up but the pieces did not seem to fit. That was Patrick Rhode, Vice President of Corporate Affairs for Cintra, USA. Now those pieces fit perfectly. The first two jobs on Rhode's LinkedIn profile are Deputy Director of National Advance Operations for the Bush Cheney 2000 campaign and Special Assistant to the President of the United States, the White House. These are positions where he would have worked closely with Karl Rove, President Bush's right hand man, and the man behind Crossroads GPS. From the rest of Rhode's resume it seems pretty clear the most valuable skills he brings to a job are his political connections. He has been at Cintra for going on 8 years now a time span that more than covers the entire history of the HOT lanes efforts here in NC. Loop this all in with the storyline we told you about here covering the impact of ALEC (including Cintra's involvement) in the history of the I77 HOT lanes, and you get a pretty clear picture of what is going on. Highly connected, very powerful people with more money to throw around than most people will see in a lifetime want this to happen. Governor Pat is not going to stand up to them. Let's hope we can find a judge who will. I77 Summit details released...results pre-ordained??? Below are the details released for the coming "summit" on I77. It does not look like the goal is cancellation of the Cintra contract. That is disappointing. Toll opponents make a valid point. NCDOT/Cintra says "no that is not true." To be clear, I hope that is not the case, but the info below does not give that impression. Hopefully, when the final agenda comes out it has some concrete actionable items on it. The CRTPO/Municipal Summit will be held at Cornelius Town Hall on Monday November 23rd at 9:00am. Please advise asap if you are planning on attending or know if you cannot attend. We need to make sure we are properly set-up based on the number of invitees planning to attend. How long will the meeting last? We hope to have a productive and organized meeting, however, we do not want to cut off any questions or discussion. The meeting length will be up to the participants other than my promise of having a hard stop at noon. What do we hope to accomplish? The purpose of this meeting will not be a complaint-fest of arguing back and forth. This is designed to separate fact from fiction regarding the project and to determine what options exist and the ramifications of any alternate solutions that will may be presented. This summit will not be limited to the current project, but will include a discussion of managed lanes region-wide. As a result, we believe it is imperative for all CRTPO represented government entities to attend. Who will facilitate the meeting? I will lead the meeting and will be very strict in keeping decorum. Regardless of anyone’s predisposition to this issue, we are all trying solve the transportation issues of our region and any attempts to turn this into a circus will be immediately stopped. Will there be any presentations? Yes, both the NCDOT and the Lake Norman Chamber will make presentations, though I have asked each to be brief. Mayoral HOT Lanes Bucket Brigade finally comes clean! A couple of articles in Tuesday's Observer leaves little room for misinterpretation that all three local mayors have been working against the will of the people when it come to implementing HOT lanes. Not that there ever was really much doubt. We've covered there antics over the past few years in pieces like this, this, and this. During the campaign all we ever heard was that saying Swain supported tolls was somehow spreading misinformation. It appears those who defended her on this point were the ones being less than truthful. In the second article in the Observer, it was revealed North Meck Mayors Travis and Woods have apparently been planning a boondoggle to Texas for "months" now to see Cintra's tolling operation. “This is a fact-finding mission for information sharing and forecasting that we can report back to our community." Somewhat ironically, on the same day that story hit the news, this one out of Texas also broke. It looks like the legislative tide has turned in the Lone Star State against managed lanes projects like the I77 HOT lanes. "House Transportation Committee Chair Joe Pickett signaled he’s on a war path to end toll managed lanes at a hearing of the Select Committee on Transportation Planning last week." Those are the current facts on the ground in Texas. How much do you want to bet we don't hear anything about that from the Travis-Woods fact finding tour? Bonus Observation: The Observer made a big point of saying Travis and Woods are paying their own way to Texas and Cintra/NCDOT aren't covering the bill. That being the case, paying their own way is the only way they could go. After last week's pasting at the polls in Huntersville, does anyone see the Cornelius or Huntersville Boards paying for it? Put this one on your calendar for a few weeks from now. With lots of action over the past few days on the I77 issue including the surprise start of construction Monday night, Lake Norman area business groups will planning an update on the project. Following the example set by LKN Chamber President Mike Russell at last week's press conference, they are not about to "lay down". By the time this event rolls around, there will likely be lots of interesting updates. The so-called I-77 summit with the governor or his minions at the NCDOT will have already occurred. There also could have been an injunction filed by state legislators. Where: Days Inn in Cornelius (Exit 28 across from the Acropolis Restaurant - 19901 Holiday Lane, Cornelius, NC 28031) . Hope you can join us for this important meeting! Please RSVP to Vince Winegardner at vwinegardner@bellsouth.net. Update: The original version of this post incorrectly stated Davidson Pct 206 only had turnout of 8.8%. The correct turnout was 15.1%. Double counting of data on the MeckBOE caused the error. Apologies for the error on my part. Well, numbers have finally rolled in this past week that give a little more color on the recent election in Davidson. One might think with so little choice on the ballot there wouldn't be much to gleen from the election. Not true. You just have to look closely. Based on preliminary turnout numbers provided by MeckBOE, turnout was down this cycle with only 1267 voters heading to the polls this year versus 2139 voters who turned out in 2013. That's a 40% drop. Not good. Not good at all. In this piece written before the election, we covered the topic of how to "supercharge" your vote through selective voting, or withholding a vote that might otherwise be cast. Here is a look at those numbers. In the uncontested Mayor's race the impact of this certainly tempers Mayor John Woods "victory". Woods "won" the race with 87.89% of the vote while there were 127 write-in votes, or 12.11%. Compared to 2013 the write-ins were up significantly in terms of both raw numbers and percentage of the vote. In 2013, there were only 86 write-ins for just 4.89% of the total vote. Things get even more interesting when looking at the "undervote", or those who cast a ballot but left the Mayor's race blank. When the undervote is included only 72.6% of voters pulled the lever for Woods. Again the totals were different when looking at the precinct level. 69.6% in 127 versus 73.5% in 206. As a frame of reference, the hotly contested mayoral race in Huntersville had tiny numbers of these "protest" votes. There, only 7 write-in ballots were cast and even fewer left the race blank. Well over 99% of voters made a selection from the two listed candidates. Davidon's high rate of protest votes in the Mayor's race certainly says more about the need for candidates than anything else, but if over 1/4 of voters won't vote for a sitting incumbent even when that incumbent is the only option, that is certainly not a good thing. In the race for the Board of Commissioners﻿, again there were not any real surprises with who won. All of the incumbents were reelected. However, it is worth noting that the top 3 vote getters were all people on record as opposing the I77 HOT lanes project. Some readers may be surprised to see that political newcomer Michael Angell received as many votes as he did. Angell ran what can best be described as a "stealth" campaign. Or more directly, he did not do a lot of traditional campaigning. One could likely attribute this to the fact to the was the only candidate openly opposed to the controversial Catalyst Project. That may have been the only thing many voters knew about him, but for well over 500 voters that was enough. A couple of positive things can also be seen in the data. First, none of the candidates were terribly skewed in where they got their votes relative to the other candidates. Meaning all of their percentage vote totals between precincts were fairly close - between 35-45% from precinct 127 with the remainder from precinct 206. Since 206 has a much larger share of registered voters, that seems about right. Also, there was a decent amount of "strategic" voting - meaning voters did not always fill out a full slate of votes. The overall undervote in this race was also about 1/4 of the votes that could have been cast. However, in this type of plurality election some under voting is common, and it appears voters still voted for 3-4 candidates on average. There is always something interesting in the numbers even in races where there is not much competition. In a surprise move, Cintra/I77 Mobility Partners announced Thursday that construction would begin this coming Monday on the I77 HOT lanes project. The surprise announcement comes just over a week after pro-toll politicians took a shellacking at the polls. The announcement also comes on the eve of a press conference called by members of the local delegation to the General Assembly. The meeting will be Friday morning at the LKN Chamber. The Chamber has been fighting the toll project alongside local activists. This all sets an interesting stage for a supposed "summit" on the issue sometime next week with Governor McCrory. This move could be seen as a sign of confidence by the company they will prevail in their January showdown in court with WidenI77.org, or it could be seen as a sign of panic at the recent change in the politics on the ground here in North Mecklenburg. Either way, it amps up the pressure on the state level politicians to do everything they can to stop the project, or their own political tenures could end the same way as those in Huntersville did last week. Press release below from I77 Mobility Partners PR flack, Jean Leier (pronounced liar). Charlotte, N.C. (November 12, 2015) – I-77 Mobility Partners today announced that construction of the I-77 Express Lanes in the Charlotte and Lake Norman region will begin this Monday, November 16, 2015. A public-private partnership is providing a $648 million investment for a 26-mile expansion that will alleviate traffic congestion in one of North Carolina’s most important corridors. Construction of the I-77 Express Lanes will occur in the median of I-77 with minimal disruption to commuters. Occasional lane shifts and closures will only take place in overnight hours. However, with day and night activity in the work zone, motorists should drive safely and stay alert at all times. Construction will start in the area south of Exit 23 Gilead Road to north of Exit 28 Catawba Avenue. Traffic control measures include restriping the roadway and shifting the lanes, installing a concrete safety barrier near the median and placing road markers along the project area. Initial construction work involves clearing the land and grading of the area. In 2016 drivers will see construction work along most of the 26-mile project. combination of both. Carpoolers with three or more occupants (including the driver) may use the express lanes for free. The full 26-mile project is slated to be completed in 2018. Well, it didn't take long for the political ramifications of last week's shellacking of toll road supporting politicians to make an impact on the upcoming 2016 NC Governor's race. From Tuesday's CharlotteObserver.com story by Jim Morrill. "I asked North Carolina Attorney General Roy Cooper about the tolls when he came to Charlotte on Tuesday. A Democrat running for governor, he said a statewide bond referendum offered “the perfect opportunity” to include money to widen I-77. McCrory proposed a road bond measure, though it didn’t include money for I-77. But when the General Assembly put a $2 billion bond package on next year’s ballot, no road projects were in it. “Strong governors can get things like that done,” Cooper said. So expect the toll issue to continue to fester, at least as long as an I-77 traffic jam. “It’s going to be a huge thing in the governor’s race,” Phillips says. “If they don’t do something to stop this thing, I’d sure hate to be running for their office.”" So, how should McCrory respond? He has a golden opportunity with the upcoming "summit" called by Rep Charles Jeter to turn this thing into a political positive for himself, but he has to take bold action. McCrory could show up in person at the summit, declare the State will cancel the contract based on the information handed to him personally by Diane Gilroy outlining the legal issues of the firms involved in the project. We told you about that here. The letter gives the Governor the political cover he needs to blow away one of the main reasons toll supporting politicians have been hiding behind, That "reason" is other companies won't want to deal with NC on P3 contracts if the state walks away without cause. Gilroy's letter gives the state "cause". McCrory should go on to demand the state fight any legal challenges from Ferrovial/Cintra/I77 Mobility to levy any penalties for canceling the contract. IF the contract is invalid due to the points in Gilroy's letter, the State owes nothing! Finally, he could score a few cheap political points by throwing this back at Roy Cooper and saying the AG's office should have done a better job assisting NCDOT in vetting the application by Cintra. With Mecklenburg County having nearly 10% of the registered Republicans in the state, Governor McCrory will lose in 2016 if he loses a considerable portion of voters in this key county, his home county. The Governor should think long and hard about what his next step will be. With well over 400 blog posts and newspaper columns under my belt, having run for office once, and attended more public meetings than I can count, I've had the opportunity to see and learn a lot about the local politics scene in North Mecklenburg - some of it not nice and some of it is absolutely great! What has happened in local politics with the rise in citizen activism around the I77 HOT lanes issue falls into the latter category. Has it been messy? Yes. Has it always been nice and polite? No. No, it has not. But really, what exactly do those in positions of authority really expect when people finally wake up, get off the couch, and get involved? If you take the most docile dog, put it in a cage, feed it garbage, and only let it out every so often just to give it a swift kick, when it eventually gets off the leash that dog will bite. Not only will it bite, it will grab ahold tightly and shake as hard as possible. Admittedly, that's an overly colorful comparison, but that's essentially what happened in Huntersville this past election. The same likely would have happened in Cornelius and Davidson as well - particularly in the Mayors' races - if those had been contested. So, while there is still considerably much to be done when it comes to the I77 toll issue, the activist groups involved have done a lot of things right to get to this point. So far, the anti-toll movement has done a great job avoiding three major pitfalls that often kill activist driven movements - too much ego, too many ideas, and too little enthusiasm. When it comes to leadership, there is not a single leader of the anti-toll movement or even a real leadership structure. Are there people who are more prominent than others? Certainly, but they are dispersed enough to make it difficult for the pro-toll politicians and their allies in the media and the toll industry to specifically target them effectively. The multiple activist groups that have grown out of the movement all cover different niches and leadership has been dispersed in ways that minimize the opportunity for conflict. Between Exit 28 Ridiculousness, Lake Norman Conservatives, WidenI77.org, and I77 Business Plan there are at least a dozen "leaders". That does not include the many other individuals doing things on their own and those who step up for specific efforts. This dispersal also broadens the movement's appeal by providing different options for more people to be involved in ways they feel comfortable. In this movement you will find people of all income and education levels. You'll find people most comfortable in bathing suits on the lake to people most comfortable in business suits in boardrooms. You'll find Republicans, Democrats, Conservatives, Progressives and most importantly, people who would describe themselves as "none of the above". That diversity is a real strength, but it can also be a weakness if not handled correctly. Here again, the movement has done things well by remaining focused. Two of the groups, WidenI77.org and I77 Business plan are solely focused on the issue, so that is relatively easy. LKN Conservatives started out of the desire of some Republicans who wanted to speak out more forcefully on the issue breaking away from the more establishment local GOP group, the North Mecklenburg Republican Women. 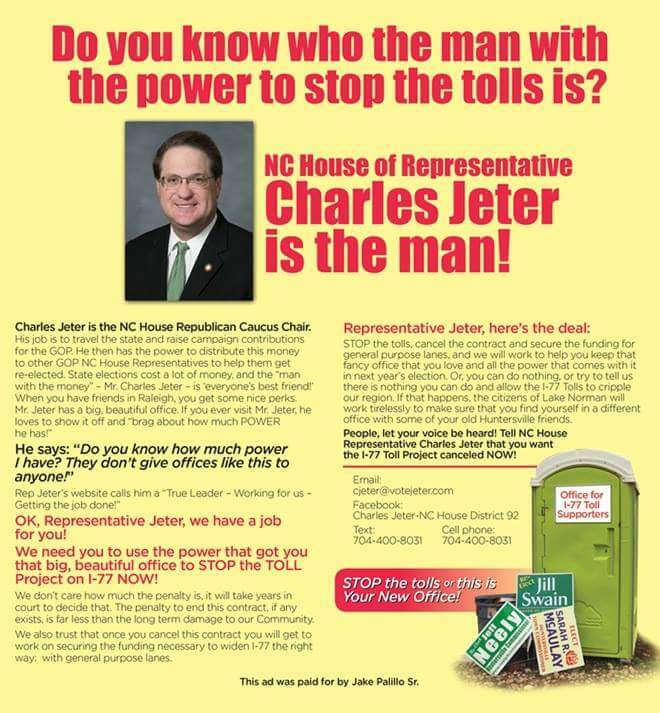 Even though the LKN Conservatives does have speakers covering other topics they do a good job of keeping the conversation about tolls when crossing paths with activists of different stripes within the anti-toll movement. The group most at risk of other topics dividing the effort is E28R simply because it is an effort based on Facebook. It is really easy to get off track in cyberspace. However, the group has done a really good job of moderating and when things have periodically veered off on other issues it is quickly brought back to focus. Finally, there has been no lack of enthusiasm. people have remained committed for so long. That also tells you how important this issue is for the community. The victories at the polls this past election should be a real shot in the arm - particularly for those people new to the political process. If this activist driven momentum continues and does not fall prey to a letdown, there will likely be repercussions felt for years to come. So many more people are watching and are now aware how local government works, it will be hard to go back to how things were when only a few were paying attention. The wailing and gnashing of teeth has been intense over at Jill Swain's Facebook page since Election Day. One would think that Huntersville was about to fall into the abyss after Tuesday's drubbing at the polls. One also would likely think the relentless mocking of other electeds and the future mayor shows a staggering amount of "sore loserism". Reading it, gives the impression a supremely popular politician had just been bushwhacked by some unruly upstarts and the town would hardly be able to limp along without her. However, a quick look at the historical numbers tells a somewhat different and more realistic story. The below chart compiled from data available at MeckBOE.org shows Swains numbers in each of her mayoral campaigns. In her first successful campaign in 2007, Swain won with less than half of the vote in a 4-way contest. 2009 was a very tight contest. In 2011, she won big but turnout was way down. In 2013, she barely squeaked out the win against Commissioner Jim Puckett. In 2015 she lost big as her support collapsed. Here is what one sees in the numbers. Based on her vote total in the lowest turnout election, it looks like Swain had roughly 2150 loyal voters through her first 4 mayoral contests. As turnout went up from that floor she got a few more votes, but she never really gained a larger loyal following. Her relative popularity among actual voters never really increased. All things being equal, in 2015 she should have gotten about 2450 votes based on turnout instead if the 1947 she received. Not only did she not get the extra votes based on the higher turnout from the 2011 floor, but she saw significant erosion in her 2150 voter base. Mayor Swain lost in 2015 not because she was bushwhacked. She lost because she was not overwhelmingly popular among the actual voting public to begin with and a significant chunk of even her most loyal base abandoned her. Well, it hasn't taken long for some in the Team Swain camp to express their dismay and disappointment at their candidate's defeat at the polls on Tuesday. This post from Huntersville Commissioner, Ron Julian, has been making the rounds on Facebook. It exemplifies the extent of that disappointment. Some in the media have also joined in to start subtly spinning a meme to explain away what happened to Mayor Jill Swain. That would be the idea that Swain was not strongly pro-toll and that she was unfairly targeted by non-Huntersville residents. "Swain has not been a vocal supporter of the I-77 project but has previously apologized for anti-toll rhetoric by others on the town board." The Observer totally minimizes how Swain handled this so-called "apology". You can see the rest of that story here. As for Swain not being a "vocal supporter" of the HOT lanes project, well, just because she hasn't been out their saying "tolls are great" doesn't mean she has not been consistently working behind the scenes to push this project forward. If Swain did not support the HOT plan, then how does one explain this move after the 2013 election where she sidelined the anti-toll commissioners as much as possible while sending Sarah McAulay back to the CRTPO where McAulay did everything she could to push the project forward. If Swain did not support the HOT plan, then how does one explain her efforts as part of the HOT Lanes Bucket Brigade to stop area commissioners from asking Gov McCrory to delay the original contract signing. 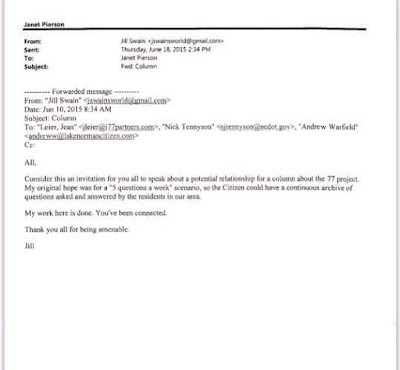 And finally, if Mayor Swain was not a HOT lanes project supporter, then why did she send the below email just this past June attempting to coordinate an information campaign between I77 Mobility Partners, NCDOT and the Lake Norman Citizen? As interestingly as Mayor Swain sending this email, why did she think the Citizen would be open to the idea? For some reason she did. The Citizen has made multiple references in recent coverage furthering the second part of the post election meme that is was non-Huntersvillians who were out to get the Mayor and caused the her defeat. In its post election coverage the Citizen says "Swain and McAulay were unable, or unwilling, to counter a robust campaign mounted against them in no small part by a group of activists comprised largely of non-Huntersville residents." How the Citizen knows the detailed breakdown of activists and members of Facebook pages focused on the toll issue is unclear. 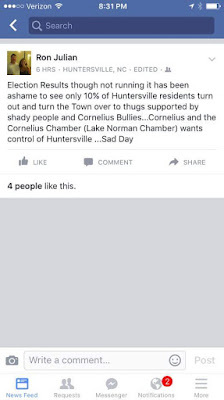 However, they sure seem focused on the fact that there are members of these groups who don't live in Huntersville. They also clearly ignore the fact that these groups have thousands of members and very likely have more than enough from Huntersville to easily cover Tuesday's margin of victory and probably much more than that. Then again, the Citizen has a long history of this kind of coverage on this issue. One of the first pieces on the I77 HOT lanes saga at aShortChronicle was a critique of local media way back in January of 2013. "Media Watch: Is LKN Media in the Tank for the HOT Lanes?" Word got back a few days later, that the folks at the Citizen didn't like it very much. Doubt they will like this one any better. The incumbents in Huntersville who lost on Tuesday night lost because they were on the wrong side of the biggest issue in the Lake Norman region since the creation of Lake Norman itself. How much for your soul, Davidson? As the Town of Davidson works its way through the planning process of the controversial Downtown Catalyst Project, the true costs for its consulting services falls in the same category as the line from that movie. Consultants from the Development Finance Initiative at the UNC School of Government have been working with the Town since the middle of 2014 to come up with a plan to develop 3.5 acres of land around the current town hall site. One of the early selling points of the study has been the relatively modest cost of the consulting work. In multiple presentations and news articles the cost of these services has been stated as being only $50,000. In the grand scheme of things the “cost” for this work “doesn't exist.” However, that also is not entirely true. The “Letter of Agreement” between the town and DFI lays out the services DFI will provide including the work already completed, any revisions certain to come after the recent round of negative public feedback, and the bidding process with developers. There is also a section about how DFI is paid. The first portion of the payment is the $50,000 paid when the contract started. However, there is a second portion. This portion could be considerably more lucrative. The contract goes on to provide language that must be included in any agreement between the Town and developers to ensure the DFI gets paid “no later than 30 days following execution of the Development Services Agreement” – well before the actual project is completed. According to the town’s Economic Development manger, Kim Fleming, this 1% fee is paid on the private development portion of any project. Any public funding is not subject to the fee. For a project like the Catalyst Project, that 1% fee could run into the hundreds of thousands of dollars. Look at examples at both extremes of what has been discussed to date to see what that could mean to DFI’s payday. The project idea recently floated including the Hotel and a full buildout to the property’s “highest and best use” was presented as up to a $60 million effort – almost entirely private investment. Compare that to the roughly $7.6 million it would cost to build a parking deck and expand the existing town hall which would likely be entirely public funding. 1% of $60 million is $600,000. 0% of $7.6 million is $0.00. Regardless what the actual numbers turn out to be, DFI clearly has real incentive to propose and push for the biggest project possible while at the same time looking to build at least something with the private sector to cover their costs. One can also see any consulting fees paid by a future developer being passed through to the Town in various ways. The simplest way would be for the developer to offer that much less for the property if the Town sells it for any project. They could also offer the Town less space or ask for higher rents for the Town portion of the project. Regardless how it happens, Davidson taxpayers will likely be the ones who “pay”. Davidson has been down this road before listening to consultants on big decisions. It was possibly the biggest mistake on the road to forming Mi-Connection. The town can not afford to let that kind of mistake happen again. In what will likely be one of the more memorable and important victories in North Mecklenburg local politics for a long, long time, anti-toll candidates swept to victory across North Mecklenburg towns Tuesday night. Ground zero for the blitz was Huntersville's campaign for Mayor. In the end, Mayor Jill Swain was unseated by challenger John Aneralla in a crushing victory. Based on the unofficial totals, Aneralla won every single precinct in the town while cruising to the finish line with nearly 59% of the vote. However, this victory was matched in its thoroughness by the victory of anti-toll candidates in the race for Town Board. The top three vote getters were long-time anti toll incumbents Danny Phillips and Rob Kidwell coming in 1st and 3rd along with newcomer Mark Gibbons who came in 2nd. 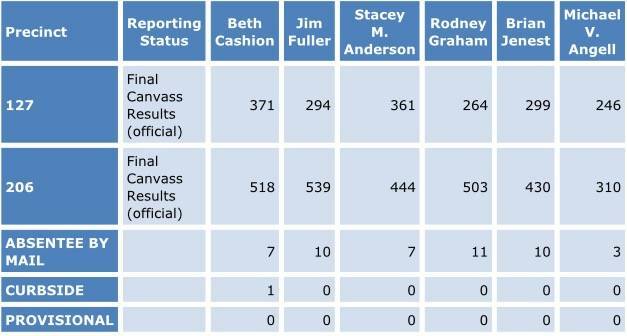 In addition to Swain's loss, toll supporters and incumbents Sarah McAulay and Jeff Neely also lost reelection. Melissa Bales who had been the top vote getter last time around fell to sixth place. To give a sense of how ferocious the anti toll zeal was, between Swain and McAulay nearly four decades of combined electoral experience was cast aside. These two officials became the focus of the anti toll movement due to their support of the I77 HOT lanes over the past three years with Mayor Swain working with the other local mayors to save the project on a number of occasions and McAulay serving as the Chair of the CRTPO as that body relentlessly pushed the project forward. But the success of anti-toll candidates was not confined to Huntersville. In Cornelius, Dr Mike Miltich gained the fifth seat on the Cornelius Board by a comfortable margin after missing in a close contest in 2013. 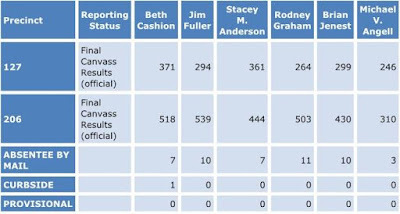 Also, in Davidson where all incumbents were reelected, the two who had been the most supportive of the HOT lanes project, Rodney Graham and Brian Jenest, came in fourth and fifth this time. While all of the candidates from the anti-toll camp ran good solid campaigns, it was in Huntersville where the power of the grassroots activism behind the larger movement was really seen. Activists from across the region focused on the Huntersville races putting in time, money, and effort to get candidates elected. Over the course of this campaign, it became as much about seeking transparent and responsive government as much as it was about tolls. If that effort and organization can remain in in tact it could have a lasting impact on politics in North Mecklenburg for years to come. In the end, those efforts resulted in a resounding set of victories. Election 2015 - This is IT!!! It is time to head to the polls. With the weather being what it is today turnout will probably be depressed a little bit, so if you do make it to the polls your vote will count for more. Here are a few tips on how to supercharge your vote as well as recommendations for Davidson, Cornelius, and Huntersville. Also, take a few minutes and reach out to friends and neighbors in any of the three North Mecklenburg towns and encourage them to head to the polls. Give them to your recommendations that's another tangible way you can have an impact. There are likely to be some close races and maybe a few surprises. Don't wake up tomorrow and regret that you did not vote if your candidates don't win! Countywide early voting was off 19.6% this election cylce with 17,947 ballots cast versus 22,319 in 2013. North Meck continued to buck that trend in the final days of early voting and actually saw a slight increase at Cornelius Town Hall and North Regional Library. That's a total increase of 5%. North Library alone was up 10%. Assuming that increase is mostly Huntersville voters due to its location, that would seem to be where the highest enthusiasm is for this cycle. Tuesday can't arrive soon enough.